Around 1871, Sir Frederic Johnstone (MP for Weymouth 1874 to 1885) enclosed and laid out Greenhill Gardens on land that he owned. The inhabitants of Weymouth were allowed free access, but the gates were locked at night. Weymouth and Melcombe Regis was expanding at this time. The railway had arrived (1857) and the Portland breakwater was being completed (1872) The population of Weymouth and Melcombe Regis had reached 20,000 at this time. 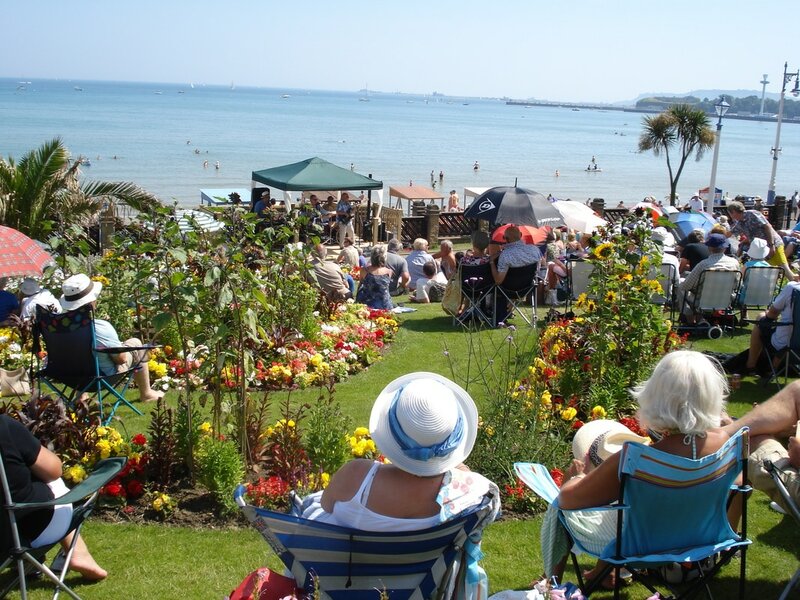 A “riotous mob” of 600 to 700 townsfolk stormed Greenhill Gardens in protest to the enclosure of the Gardens which they claimed were common land and owned by the Weymouth and Melcombe Regis Borough Council. In the subsequent court case, no documents were produced that could verify the claim of common land. 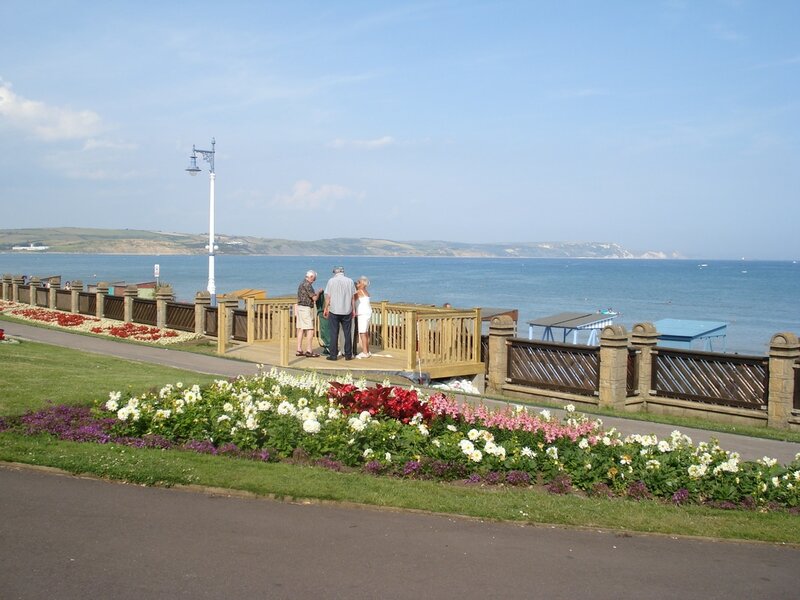 Sir Frederic Johnson gifted Greenhill Gardens and Greenhill Gardens North to the Borough of Weymouth and Melcombe Regis. More land to the north of Greenhill Gardens (the current tennis courts and bowling green) were sold by Sir Frederic Johnstone to the Borough of Weymouth and Melcombe Regis as an extension to the gardens. Borough accounts list an amount of £333 paid for the erection of a cafe in Greenhill Gardens. This has now been replaced by the Seascape café. This memorial is to a former pupil, Flight Lieutenant George Stainforth set a world record air speed record of 406.92 mph in a Schneider supermarine S6B seaplane in 1931. Stainforth was an experimental pilot who broke the record for flying upside down which he did for 12 minutes at Farnborough.Stainforth died in a plane crash in 1942, during a night sortie over the Western Desert. The Floral clock was installed in 1936. The clock’s big hand is 8 feet in length and covers a circle of 10 feet in diameter with the mechanism is housed in the nearby shed which allows it to seen. The clock is still working (possibly only 2 others in UK also work) and has cuckoo chimes. The Friends of Greenhill Gardens (FOGG) started in 2007. In the past 10 years we have been involved in a number of projects in Greenhill Gardens. The Friends of Greenhill Gardens started in 2007. At that time the Council were considering plans to build a large Restaurant in the Gardens mainly covering the tennis courts area. Local residents were not happy with the design or even the concept of a new restaurant. Various objections to the scheme were submitted and many of the residents banded together to form the Friends Group. The proposals were dropped and we then tried to have a dialogue with the Council concerning the future of the Gardens. Initially this did not work but now a dialogue is in place and relations are very good. 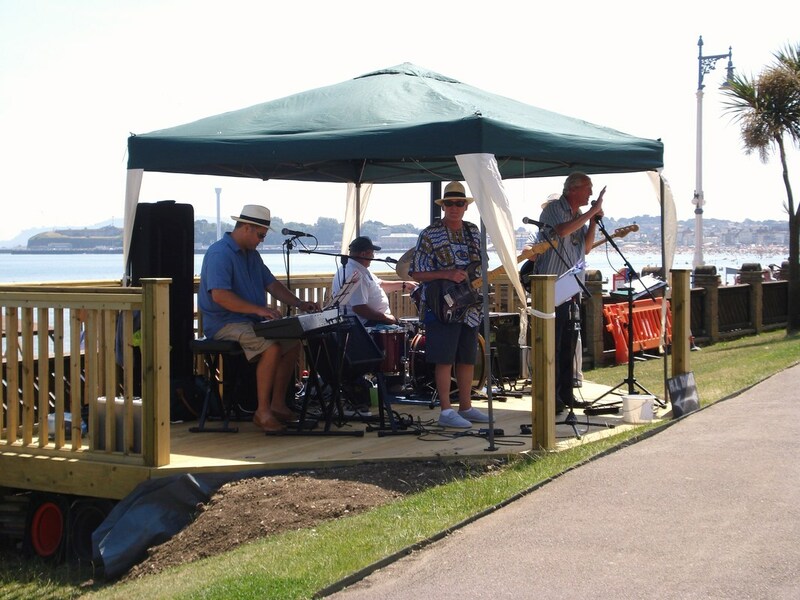 ​In the past 10 years we have been involved in a number of projects including funding the cost of railings in the Gardens; the planting of the two large flowers beds on the Esplanade; attending Council meeting to support the activities and aims of FOGG, organising a huge number of events in the Gardens every year; running regular Quiz Nights to raise funds; supporting the Council’s annual bid for the Green Flag Awards; being interviewed on local radio stations and designing, building and funding a Bandstand in the Gardens. ​We’re now planning on erecting an impressive Arch at the entrance to the Gardens opposite the Seascape Cafe.